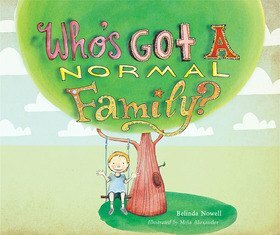 Belinda Nowell is a writer, producer and author of the children’s book Who’s Got a Normal Family?. With a background in acting, she has worked in the arts since she was a young adult. Born in Perth, Western Australia, Belinda spent the first part of her life in regional towns with her parents, where they ran out-of-home care facilities for children. In the years that followed, Belinda became a big sister to five siblings. After years away from W.A. and over international travel, the Western Australian landscapes are still her favourite. Belinda now lives on Sydney’s northern beaches with her two children, Max and Frances, and her husband, Scott.